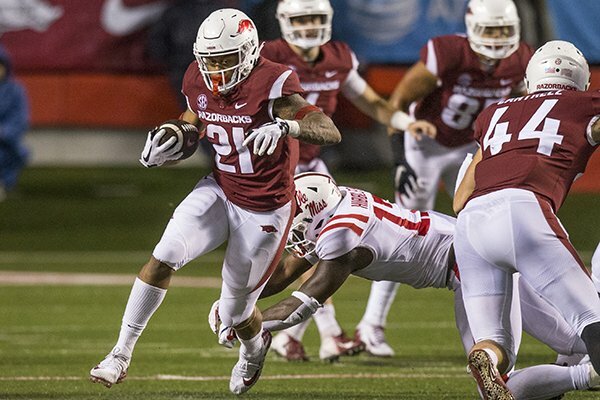 Arkansas running back Devwah Whaley is out until at least November after ankle surgery. Coach Chad Morris said Whaley was injured during Saturday's loss to Mississippi, leaving midway through the third quarter. Fellow running back Rakeem Boyd was injured in the first half for the Razorbacks. Morris said Boyd, defensive lineman McTelvin Agim and running back T.J. Hammonds are all expected to play against Tulsa on Saturday.